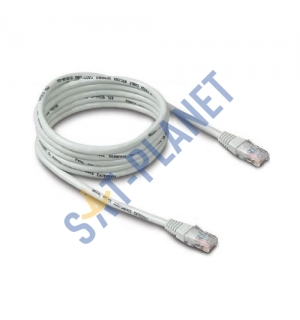 This high quality network cable, also called an ethernet cable, is perfect for connecting your PC or Laptop to a Router, ADSL Modem or Network switch. It has many other uses such as connecting your Sky box or Satellite receiver to a router to use the On Demand function, connect your PS4 or Xbox to a Router or network switch to play online or share printers and storage devices in your local network. With CAT5e stranded patch cable, you can enjoy high speed and high fidelity data transfer capabilities during your setups. 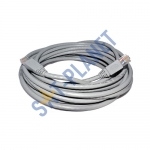 This cable is designed for optimal performance, producing high speed data transfer while preserving utmost data integrity. Our CAT5e Patch cable comes wrapped in a sturdy PVC jacket, built to withstand high levels of stress, pulling and pushing.